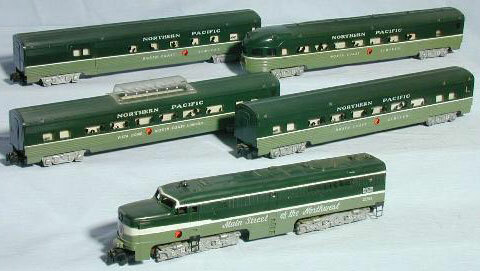 The 5-Digit North Coast Limited set made only in 1958 is quite rare and fetches premium prices. These cars appeared only in set #20445, the North Coast Limited, pulled by the #21551 Alco engine. 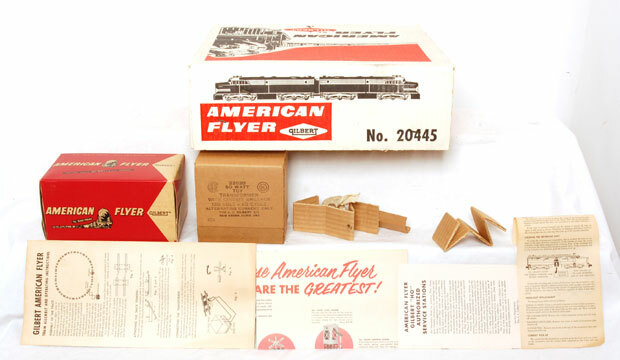 Set #20445 included 12 #26720 Curved Track, 4 #26700 Straight Track, #26752 Remote Control Uncoupler, #26690 Track Terminal, #22020 50-watt Transformer, and #23561 Billboard Horn. 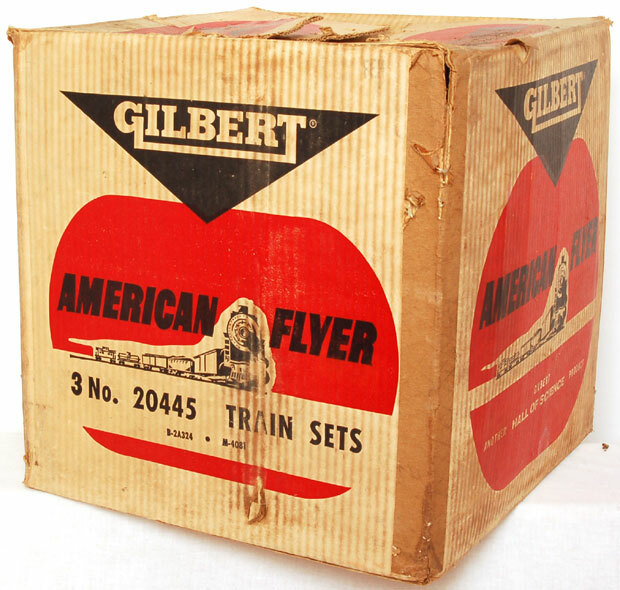 These sets were shipped to dealers in this three-set Master Carton.